As unique selling points for films go, it doesn’t get much more intriguing than the promise of Michael Fassbender in a papier-mâché head. Thankfully it proves to be an inspired piece of casting in Frank, the weird, funny and affecting fourth feature from Irish director Lenny Abrahamson. 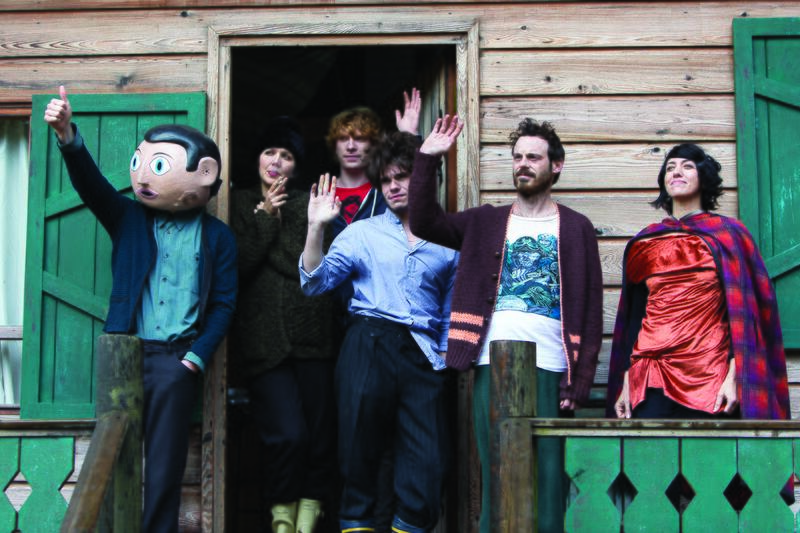 Co-written by Jon Ronson – upon whose experiences with Frank Sidebottom the film is loosely based – Frank follows Jon (Domhnall Gleeson), an aspiring but struggling musician who happens upon an eccentric touring band as their keyboardist is trying to drown himself. That band’s unpronounceable name is The Soronprfbs, their lead singer is the fake head clad Frank (Fassbender), and once it’s ascertained that Jon can play the C, F and G chords, he is recruited.